Hairs need to be at least ¼ to ¾ inch in length, no shaving for at last 2-3 weeks. If longer, please trim the hairs to make your waxing more comfortable. For body waxing, it is recommended to take a shower before your appointment, if you need wipes just ask. For any facial waxing keep the face free of makeup (if possible). Don’t use any lotions in the area to be waxed. A pain reliever/anti-inflammatory can be taken 30 minutes prior to your appointment. A topical numbing gel can be applied 30-45 minutes before waxing to minimize discomfort. Some numbing creams can interfere with my wax, making it difficult to apply. * I recommend PFB Topical Anesthetic. Have a gentle exfoliating regimen to get the best waxing results. 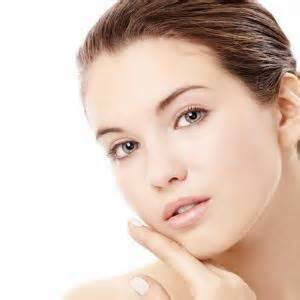 Exfoliating excess dead skin cells prior to your appt helps the hairs come out easier. Let us know if you have been on any skin medications that could affect your waxing service. These include acne medications such as Accutane, Alpha or Beta Hydroxy Acids, Antibiotics, Benzoyl Peroxide, Differin, Retin-A/Retinol or any other skin thinning medication. Limit your caffeine intake the day of your appointment as it can stimulate the nervous system, making you more sensitive to waxing. Avoid spray tanning, sun bathing, and tanning bed within 24 hours of waxing, before or after. Waxing should NOT be done on any area of the skin that has had a recent chemical peel, sunburn, or laser treatment. If you had any of these, you’ll want to wait until the skin is fully healed. Many physicians do not recommend waxing services for clients with diabetes, varicose veins or poor circulation. If you fall into one of these categories, we recommend consulting with your doctor prior to scheduling your appointment.